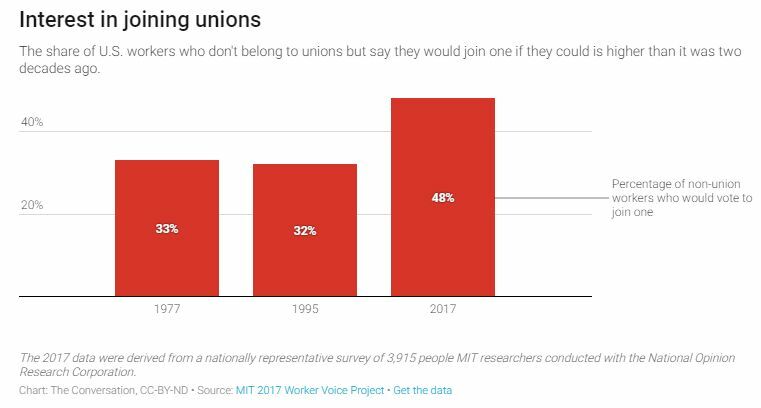 The results obtained from nearly 4,000 respondents show that 48 percent – nearly half of nonunionized workers – would join a union if given the opportunity to do so. 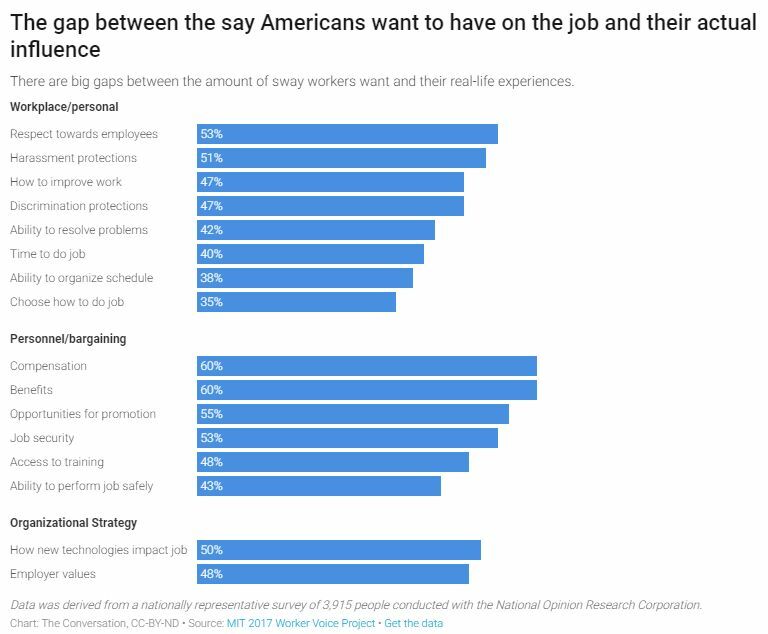 More than 50 percent of the workers who took part in our survey reported they have less say than they feel that they ought to have, what we call the “voice gap,” on key issues such as benefits, compensation, promotions and job security. Between a third and half of the workers we surveyed reported a gap between expected and actual say or influence on decisions about how and when they work, safety and protections from discrimination. 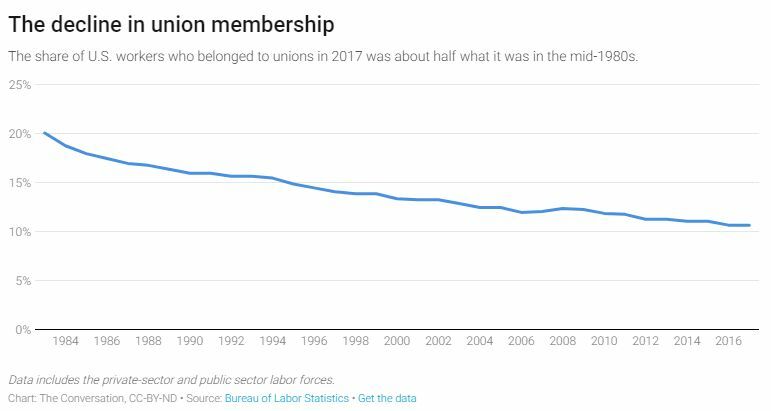 While workers are clear on what they want, the reality is few workers who don’t belong to unions will get to join one, since fewer than 1 percent will experience an organizing drive at their workplaces. Also, fewer than 10 percent of all these efforts to unionize and get a collective bargaining agreement succeed when employers resist. Recognizing these obstacles, unions are turning to new strategies for improving working conditions. Perhaps the best example is union support for a US$15 minimum wage that would primarily benefit workers who aren’t their members. But unions and these new forms of advocacy can’t get workers the voice they expect on their jobs until U.S. labor laws become stronger. Become a friend of The Conversation … and be a part of a better conversation. Your tax deductible donation makes a big difference.